This detached lodge on Honicombe Manor near Gunnislake sleeps seven people in four bedrooms. 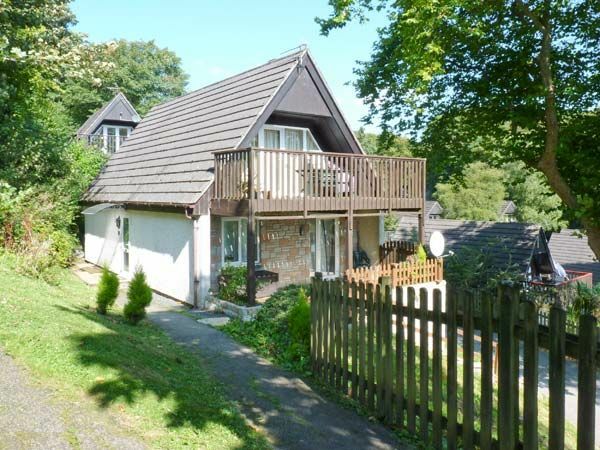 Hillside is a detached lodge on Honicombe Manor holiday park near Gunnislake. The lodge has a double room with en-suite, a twin room, room with adult bunks and a single room, all on the ground floor, along with a shower room. Upstairs is the open plan living area with kitchen, dining area and sitting area leading to a balcony. Outside is ample off road parking and shared use of the estate grounds. Hillside offers access to facilities (closed 25th December and 1st January only) including seasonal indoor and outdoor pools, a small gym, sauna and tennis courts and is well placed for exploring this part of Cornwall. Hillside - A holiday cottage in Cornwall, England. Book your next beach holiday through British Beaches.